The low, regular "purring" of the transformer was the sign that everything was fine. Electricity was gently flowing from the grid substation to the 400 kV ITER switchyard, and from there into one of the four 22 kV worksite transformers. Achieving the "energization" of the ITER worksite, albeit for less than one hour, was the culmination of two months of preparation in close coordination with the French transmission system operator RTE (Réseau de transport d'électricité). Technically under European responsibility, the final operation on 30 March—an ITER Council and European milestone—was long and painstaking and required both finesse and expertise. 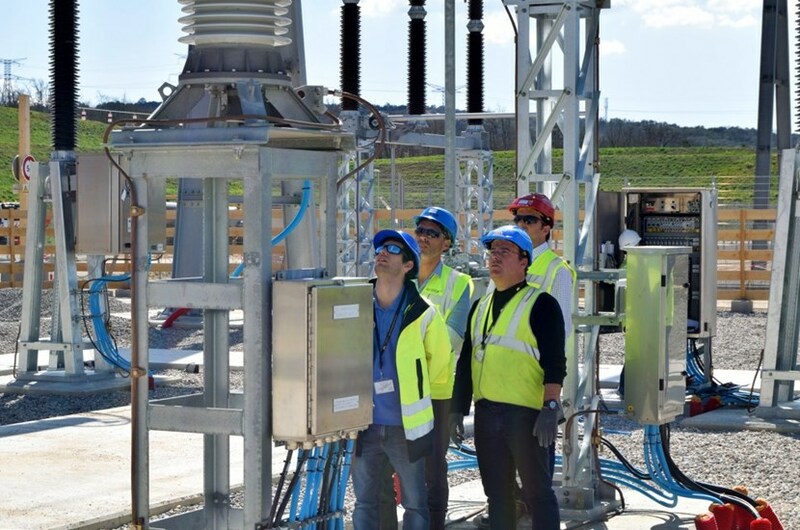 Procured by the US and manufactured in Korea, the transformer to be energized "had not seen power since undergoing factory acceptance tests in late 2014," explains Joël Hourtoule, the ITER Electrical Power Distribution Section Leader. "A transformer that stays idle for such a long time loses what we call its 'magnetic remanence.' When it is turned on again, the inrush of current can cause important mechanical stress that we need to control." The difficulty is to precisely adjust the relay settings of the circuit breakers that protect the transformer—one notch too low and the circuit breaker trips when it shouldn't; one notch too high and the fault current might damage the transformer. "Of course we have charts and curves and electronic measurements, but in this kind of situation nothing beats the experience of the Electrical Division's old hands," adds Joël. The first settings, "too conservative," caused the transformer to trip. The second, following an hour-long analysis of dozens of parameters, proved effective. The transformer's purring, hesitant at first, soon stabilized—as if the 150-tonne beast was expressing satisfaction. The energization procedure will be repeated before the summer for each of the three remaining 22 kV transformers of the steady state electrical network (SSEN); then, by the end of the year, the same operations will be conducted on the massive pulsed power electrical network (PPEN) transformers, procured by China. However, it will be another eight or nine months before parts of the ITER worksite and buildings can progressively draw power from the grid. For Joël Hourtoule and the "old hands" in his team, the energization of the 22 kV transformer marked the culmination of a full decade of work. "We began designing the system in 2007, defined the Procurement Arrangements, monitored fabrication, supervized the installation ... for engineers, it is a rare privilege and satisfaction to carry a project from inception to completion."